Even a couple of years ago, integration of a digital marketing strategy to a business plan was unheard of. We are talking about the end of the 2000s and beginning of the 2010s. However, as of a marketing survey report from 2012, almost 34% of all participating companies have a clearly defined and integrated marketing strategy. Approximately 49% of the companies have no defined plan although they are investing in digital marketing. The rest of them have established procedures, but they are described in a separate document. Start with a separate digital plan. It should include all your digital marketing expenses and the transformation goals for your company. After the plan is in motion, start creating an integrated plan with the help of a digital marketing expert that incorporates a marketing database. It should be fully aligned with your company interests and brand principles. What’s your motivation to adopt a digital marketing strategy? You need clear goals for your business. Any entrepreneur without defined marketing strategies is rather directionless. If you do not have the set goals, you will find it almost impossible to analyze the data in front of you and understand the progress of your business. How will you know your market share online unless you have a prominent online presence? It is critical for small startups and indie businesses, which are sprouting up in hopes of competing with the big guns. Your online presence will give you direct access to customer behavior, customer preferences, buying trends and competitor positions as well. It is one of the most critical reasons a business should have an online presence. An online customer value prop will give your business a human touch. You will find it much easier to retain customers. A conversion will also become much easier once you can establish your online value proposition through different digital marketing channels. Even when you are selling out of a land-based store, you will find it difficult to acquire new customers after a point. You will need new forms of marketing for reaching out to new markets. Digital is one of the most “measurable mediums” for all companies ever. Do not forget to include user feedback add-ons and analytics tools to your digital strategy for accurate analysis of your potential market(s). You are losing to big retailers and small online businesses alike. An Amazon may be a giant compared to your company, but your next-door cupcake shop is not! However, since they are online with the cutesy seller site, they are likely making more sales than you are right now. Check out Dell, Tesco and Zappos – these dynamic company sites stay in touch with their digital selves to keep their online audiences integrated with their land-based businesses. Well, you may not believe it, but digital marketing does not require a lot of green! It is cheap compared to a lot of traditional marketing media. Digital marketing through social networking channels is almost free unless you want to boost your post or post a sponsored content. Even then, you will be spending less than a pizza per day! Having a digital marketing plan that includes all social networking channels and social media options, is a great way to set short-term goals and measure your achievement levels. Your business needs to be visible. For that, you need search engine giants like Google and Bing by your side. You need to sign your business up on Google My Business and list yourself on almost all of the contemporary business directories. Collect more reviews, manage them and interact with your audience to gain more visibility. When in crisis, turn to Google Keyword Planner and UpStream for keyword suggestions. You can use relevant keywords for your posts or your website content to stay more visible every day. Believe it or not! The conversion rate for PPC ads can be as much as a whopping 300%. Paid ads like PPC and CPC are one of the best ways to get high conversion traffic. The secret is – paid ads do not have to be costly. They rather act as lubricants to the digital marketing funnel, which provides your site with new visitors and potential customers. Here’s another reason for digital marketing to be more rewarding than traditional marketing techniques. You can reach out to specific audiences thanks to the art of keyword selection, hashtagging and filters on different social media platforms. Knowing your customer personality will help you invest more meaningfully and prevent you from wasting time on futile marketing efforts. Almost 91% of all adults in the USA rely on their mobiles for all daily activities including shopping. About 67% of all mobile users have also used their devices in the past to make purchases online. If you are not already online, working your digital strategy to reach this massive mobile audience you are missing an opportunity of your lifetime. As of the Mobilegeddon of April 2015, there is no more reason left for businesses not to go mobile right now. These are reasons good enough for any business owner to shake off the inertia and invest in digital marketing. Digital marketing is easy if you have the right guidance. 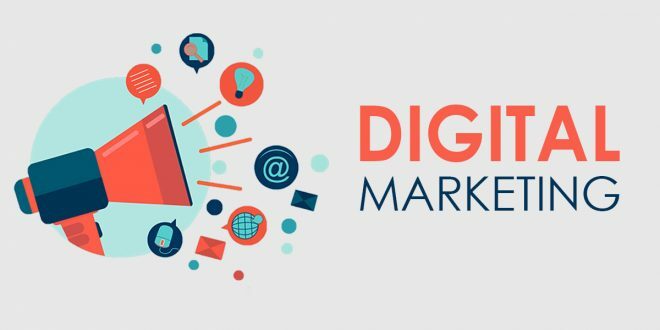 As of 2018, if you own a company or organization, digital marketing will soon become your lifeline for future businesses.